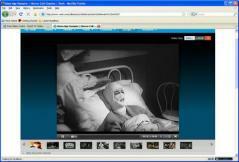 Veoh Web Player is an application that allows you to play, download or to import video files. - Watch full-screen, DVD-quality videos on your computer, portable device, or TV. - Create your own library of video content. - Subscribe to video series, channels, or publishers, just like a virtual TiVo. Download and save videos from Veoh and from thousands of other websites. - Watch your videos anytime, anyplace. - Connect to a TV and use a remote control from the comfort of your couch.